I couldn't think of a title for this month's column. So sue me. For almost 30 years, David Solomon has been a vital and vibrant member of a coterie of Chicago cardmen that includes Simon Aronson, Steve Draun, John Bannon, and Bill Malone. The center of attraction of this group was the prolific and controversial Edward Marlo, and for many years David was a confidant, friend, and helper to Marlo, assisting in the production of many of Marlo's manuscripts. David is also a prolific creator of card magic, and his routines have appeared in the Linking Ring, M.U.M., The Trap Door, MAGIC, Hierophant, Kabbala, the various Marlo Magazines, and in Sessions, a book co-authored by David and Simon Aronson. Solomon's Mind collects David's finest routines from the past 25 years. 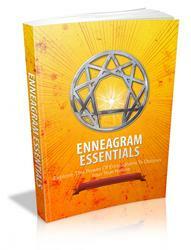 There is previously unpublished material, and many previously published routines have been updated and revised. 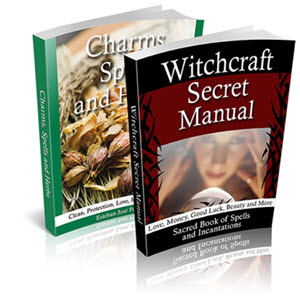 The book is divided into four sections, Magic for Laypersons, Magic for Planned Close-up Shows, Magic for Sessions, and Prepared Magic for Sessions. The material ranges from routines which are virtually self-working, to routines which will require more advanced technical ability. Part One begins with "Steinmeyer's Nine Card Problem with Seven Cards," a routine which is one of the highlights of the book. Jim Steinmeyer published his "Nine Card Problem" in the May 1993 issue of MAGIC. David's method eliminates the need to spell the word "of," reduces the number of cards to seven, and adopts Jon Racherbaumer's suggestion of using a lie detector plot. The result is an absolutely remarkable trick, which can be performed over the phone. (In fact, Eugene performed this for me over the phone, and it fooled me completely.) I predict that David's handling of this plot will become a staple in the repertoires of many close-up magicians. Other highlights in this section include "Four the Hard Way," which is a handling of Bob Walkers "Topsy Turvy Torsion Version," (which is itself a version of "Twisting the Aces"), and "Cutting Ten" a diabolical version of the Spectator Cuts the Aces plot. The nice aspect of "Cutting Ten" is that the revelation of the four Tens comes as a complete surprise. The final two chapters detail material geared to bamboozle your magic pals (although many of the routines would certainly play well for laymen). Included are sandwich tricks, ace assemblies (including treatments of the Succession Aces and the Reverse Assembly plots), a handling for "Triumph," and what may be the best version ever of the Observation Test. David's routine was inspired by Juan Tamariz's routine in Sonata, and when demonstrated elicited an enthusiastic vocal reaction from Juan. In addition to the excellent card material, there are discussions of David's relationship to Ed Marlo. These discussions are fascinating, and they offer some interesting insights. At the end of the book there is a final conversation with Eugene in which David says, "Marlo was obsessed with card magic and having his name credited to any ideas he created. As the people in the group surrounding him started to have their own personalities and inventions, in Marlo's eyes we became his competition." Unfortunately, this eventually led Marlo to become estranged from those who had been his closest companions. Jeff Sheridan began his career as a street performer in 1967, performing in various locations throughout New York City's Central Park. In 1972 he discovered the perfect performing spot, and eventually became known as "the magician at Sir Walter Scott's statue." (For more information on Sheridan's career and his influence on many well-known magicians, see Richard Kaufman's article in the October 1997 issue of MAGIC.) One of the people attracted to Sheridan's Central Park performances was Edward Claflin, a freelance writer who, when he discovered that no book on the history of street magic existed, suggested that he and Sheridan collaborate on one. The original edition of Street Magic has been out of print for 20 years. Fortunately, Kaufman and Company has again made this valuable text available to the magic community. Street Magic begins with an examination of ancient tribal magic - the magic of shamans, medicine men, witch doctors, and priests - and segues into a discussion of the influence of magic in early Greek, Roman, and Egyptian societies. There follow chapters on the magic of Hindu Fakirs, Oriental conjurors, and the jugglers, mountebanks, and necromancers of the Middle Ages. The wandering magicians of the 16th century are discussed, as are the seminal texts which appeared at this time: Scot's The Discoverie of Witchcraft, Thomas Ady's A Candle in the Dark, Hocus Pocus Junior, and Henry Dean's The Whole Art of Legerdermain. In the 1800's, a new form of street magic evolved, the kind of impromptu, off-hand miracle which helped enhance the reputation (and enlarge the ticket sales) of the stage magicians of the time. Louis Christian Emanuel Appollinaire Comte was a master of this, inciting near riots by his ventriloquial abilities. (One stunt nearly cost him his life.) Also examined are the exploits of Bartolomeo Bosco, Robert-Houdin, and Alexander Herrmann. At the turn of the century, the greatest promoter and showman in the United States was Harry Houdini, and an entire chapter is devoted to his career. At the beginning of their book, Claflin and Sheraton define street magic as "a kind of popular entertainment in the guise of magic or illusion, performed outside the boundaries of conventional theater." One chapter of Street Magic is devoted to those whose performances are peripherally related to street magic, including psychics Jean Dixon and Edward Cayce, mentalists Kreskin and Uri Geller, and street juggler Philippe Petit, who made headlines in 1974 by walking a cable stretched between the twin towers of New York's World Trade Center. The book concludes with an examination and analysis of Jeff Sheridan's work in Central Park. Street Magic is a rich and detailed book, and this brief review cannot do it justice. The text is accompanied by numerous photographs and drawings, many from Sheraton's private collection. For those interested in the history of this most unconventional of venues, Street Magic is a must-buy. Highly recommended. Years ago, Jim Buffaloe attended a lecture given by Jim Ryan. At the end of the lecture, Mr. Buffaloe asked Jim why he didn't include more coin tricks in his repertoire. Ryan replied that he did not think coins had much potential for entertainment. This remark had a profound effect on Jim Buffaloe, and the results can be seen in Buffaloed, a book which contains mostly coin routines, all structured for maximum entertainment. Jim Buffaloe is a musician and a magician, and for many years was Minister of Music for the Southwest Baptist Church in St. Louis. He contributed two One-Man Parades to the Linking Ring (in 1985 and 1987), and each won the trophy for best One-Man Parade. Many of the routines in Buffaloed originally appeared in those Parades, but all the material has been updated and revised. There are 36 coin routines in Buffaloed, grouped into four sections (Brief Routines, Productions and Concealments; Extended Platform and Close-up Routines; Theatrical Close-up with Props; and Self Analysis: A Tool Toward Excellence). In addition, there are five routines geared toward young audiences, ten general magic routines, and essays on improving your speaking voice, methods for connecting with an audience, and techniques for the creation of magic routines. The first section of coin magic concerns itself with technique rather than full blown routines. For me, the highlight was "A Lesson in Subtlety," in which a well-known children's trick is used to effect a barehanded four coin production. I wish I could have seen this performed before I read it. I know it would have fooled me. The next two chapters contain coin magic designed with entertainment in mind. It is rare to find a book of coin tricks in which presentation is the foremost concern. This is an enormously refreshing change from the coin material which is normally offered for sale. Mr. Buffaloe incorporates unusual props, and often dresses standard props in unusual garb (for example, turning a coin box into a miniature safe.) He also takes standard gaffed coins and places them into extremely novel presentations, the highlight of which is "This Spud's for You," which combines the Cigarette through Quarter effect with the science experiment of driving of straw through a potato. This is memorable magic, gang. The chapter on Self Analysis provides an in-depth look on how a magic routine (in this case a Copper/Silver transposition) is created. If you've ever wondered how creative people develop magic routines, this chapter will be enlightening. Mr. Buffaloe is also concerned that many magicians fail to use their voices effectively. In a chapter titled "The Magic in Your Voice," he draws on his years of experience as a vocal teacher to offer exercises which will help you develop a more flexible and effective speaking voice. I don't believe that I have read this type of information in any other magic book. Finally, there are two chapters containing general magic and magic geared for an audience of children. All the routines are worth your careful consideration, but I would draw your attention to "Mouse Capades" (a routine which would be effective for both children and adults) and "A Crown for a Queen," which is a very clever presentation for Ton Onosaka's jumbo Three Card Monte cards. Buffaloed is one of the best books of non-card magic that I have read in a long time. Excellent routines, excellent thinking, excellent essays. What more could you want? If you need more prodding and you have a file of the Linking Ring, check out the previously referenced One-Man Parades. Or, you could just take my word for it. This is a fine, fine book, and it should be in your library. Highly recommended. Norm Houghton died on March 4, 1998, and I was saddened to learn of his passing. Norm has a special place in my heart, because he, along with Bill Elliot, Tom Ransom, Stewart James, Mel Stover, and Pat Lyons were a part of the best magic magazine I've ever read, Howard Lyons' Ibidem. If you have never read Ibidem, or you have never attended a Fechter's convention, you may not know who Norm was. But his role is clearly explained in David Drake's introduction to Wit and Wizardry, which is a collection of Norm's creations. David writes, "There are men and women in magic who move along beneath the surface of events, quietly affecting and influencing the actions of their more public peers. They are highly respected, often consulted, and genuinely admired by the alert and intelligent in the magic community. Norman Houghton of Canada is one of these." This is a fine and varied collection, and there is some very interesting material hidden here. For example, check out "Card in Shirt Pocket," which was published in 1957 and is a predecessor of Gordon Bruce's popular "Pocket Palm" technique. Also, take a look at "The Slide and It's Uses," an analysis of the Hofzinser cull. This treatise was written more than 30 years ago and was slated to appear in Ibidem #34-35, but was never published. One minor quibble: I'm not particularly enamored with the layout of this book. There are only a few illustrations, which gives the book a rather spartan appearance. For historical reasons it would have been nice to have a few photographs included. Bottom line: Wit and Wizardry is a worthwhile collection of material from a man who was a clever thinker and a fine human being. Recommended. Also greatly missed by his friends and colleagues is Dr. Peter Moffat, who was a member of the I.B.M. and was an Honorary Life Member and Past President of the Scottish Association of Magical Societies. 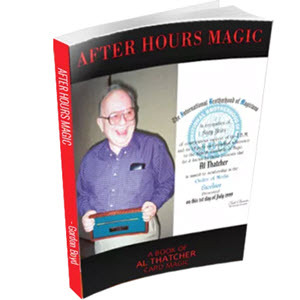 Magic On Prescription contains the collected writings of Dr. Moffat, including card effects, mentalism, close-up routines, and material for stage and cabaret performance. In addition, there are contributions from Roy Walton, Peter Duffie, Gordon Bruce, Trevor Lewis, Bob Ostin, and others. The material here isn't earthshaking, but I found some nice ideas (for example: Trevor Lewis' "Knowing the Ropes," Tom Johnson's "Key to the Door," and Dr. Moffat's "Male Versus Female"). Magic on Prescription is published by the Perth Magic Circle, and a portion of the profits will go to the Children's Ward at Perth Royal Infirmary. Clever & Pleasant Inventions was published in 1584, and was the first book in French dealing with the subject of conjuring. In fact, this book seems to be the earliest book in any language devoted entirely to prestidigitation. (Reginald Scot's The Discoverie of Witchcraft was published in England the same year, but it had only a small section which explained the methods of conjurors.) About its author, J. Prevost, almost nothing is known. The original book is itself very rare, and is very little known, even in France. Thanks to the efforts of Stephen Minch and translator Sharon King, we now have available a very readable English translation of this important historical text. Clever & Pleasant Inventions is a first class production all the way around. I understand from Stephen Minch that the first printing has been completely sold out to magic shops and wholesalers. So if you want a copy (and if you're a historian or a collector you definitely want a copy) get one quick. Highly recommended. Historians and collectors will also want to pick up a copy of this bibliography of prolific English author Dr. Edwin A. Dawes. (The bibliography lists material from 1955 to 1996, and thus does not include Dr. Dawes most recent book, the excellent Charles Bertram the Court Conjuror.) Dr. Dawes output is staggering (his historical column "A Rich Cabinet of Magic Curiosities has passed the 200 mark and continues to go strong) and this bibliography is an extremely useful resource. In the past year or so, Mark Jenest has released several clever and commercial effects, including "The No. 2 Pencil" and the "Magic Credit Card." In Miracles While You Wait, Mark hits the streets of Hollywood, performing seven offbeat and easy to do close-up effects. There is magic with cards, coins, paper money, balloons, Chapstick®, olives, and a bartender's jigger. For me, the highlight of the tape is the opening trick, "Billoon!" Here's what happens: The magician blows up a black balloon. The spectator holds it by the tied stem. A bill is borrowed, signed, and vanished. The balloon is shaken, and the spectator holding it hears something rattling around inside. The magician carefully takes the balloon between his hands and lowers it to the ground. The balloon is popped. There among the shredded balloon pieces is the borrowed dollar bill. The method for accomplishing this trick is very clever, it puzzled me, and I predict that "Billoon!" will find its way into a lot of repertoires. The remainder of the tricks are practical and effective, but I was not fooled by any of them. However, this doesn't mean that you won't be able to make use of them performing for real people. Miracles While You Wait is an entertaining tape, and Mark's goofy interaction with people on the street is a hoot. Also, The Magic Smith is pricing this tape at $20, which makes it a good value for the money. Recommended. Dean provides you with the necessary gaff, written instructions detailing two routines, and a low budget video in which he demonstrates and explains the two routines. Neither routine is particularly difficult, but you will have to be familiar with basic coin technique. Be aware, this is a fairly low-tech gaff. However, it gets the job done, and if you saw Dean do this you'd probably get fooled. The cascade of the coins is very pretty and mysterious, and the trick resets quickly. If you work in a venue where you can use the table top, this is a trick you could probably use. Recommended. Mentalist Mark Strivings has adapted several old principles to create a utility business card wallet which allows you to do several different effects. For example: A spectator can write something on a business card which is placed face down into the case. The case is closed and pocketed. You can reveal the information. Billets can be switched using the case. If doing a prediction, billets can be secretly introduced into the case. You can secretly nail write on a card which has been placed into the case. And so forth. At $50, the "Sight Unseen Case" seems a little pricey to me. However, I have spoken to people who own it and use it, and they are pleased with their investment. 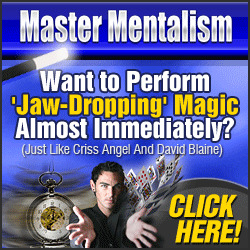 Because this is a low tech prop, and has little "play" value, I think it will be of most value to those who are already making money from mentalism, or who wish to add a mental routine to their working repertoire. The method is very clever, and (in watching John demo it) has fooled everybody who saw it. John provides you with a clever routine, and the electronics of the wallet will last for many, many performances before batteries need to be replaced. It is also possible to have a spectator write something on a business card, place it in the wallet, and then discern what has been written. This is not an inexpensive item, but I believe that what you get justifies the price. If the effect appeals to you, I don't think you'll be disappointed. Recommended. This is one of two cool things that I saw at the recent Hollywood Day of Magic. Ed has adapted Martin Lewis' "Cardiographic" (with Martin's blessing) for a kid's show presentation. Here's what happens: The magician shows a coloring book containing pictures of children's toys. A child calls out "Stop" as the magician riffles through the book. The picture on the stopped at page is remembered. The book is placed aside. The magician picks up a large drawing pad and attempts to draw a picture of the toy the child is thinking of. He draws a box with the letter "A" on it. But the child was not thinking of a toy block. So the magician turns the block into a drawing of a Jack in the Box. Again, this is incorrect. The child explains that he was thinking of a clown. The magician draws a handle on the Jack in the Box and apparently turns the crank. A clown rises from the box. It is the same clown the child was thinking of. After the clown stops moving the piece of paper is torn from the pad and given to the child as a souvenir. Martin's original trick is a sensational one (which is why many pros use it), and this adaptation plays great and should be a big hit with kids. Ed has done a top-notch job providing you with everything you need: the gaffed coloring book, stencils, the drawing pad and pen, a cassette tape with Jack in the Box music, and complete instructions. This is not cheap, but is a good value for the money. If you're a kid show performer, this is definitely worth your consideration. Highly recommended. This was the other cool thing I saw at the Hollywood Day of Magic. The magician has a spectator take a card (forced). A second spectator (who did not see the selected card) is given a pair of 3D glasses (the kind we used to wear when we watched cheesy 3D movies). A small penlight flashlight is held in front of the second spectator, and he is told to look into the light and try to discern the identity of the card. He cannot. The light is moved farther away from his face. Suddenly, the second spectator sees the image of two small hearts floating in the air around the flashlight. He names the Two of Hearts, which was the selected card. This is a neat trick, is a complete no-brainer (assuming you can force a card), and the appearance of the two floating hearts is cool. You get everything you need, including the small penlight flashlight. My guess is that by this summer this will be the trick that everybody will be playing with. Recommended. Here's a new origami book for those of you who enjoy that sort of thing. Russian Origami by Sergei Afonkin and Tom Hull contains simple models from folders in the former Soviet Union. Most of the folds are simple, and are quite charming. In addition, there are several folds which move, including a Clapping Clown and a Monster made from a dollar bill, both of which could have magical applications. If you're a newcomer to origami, this would be an excellent book to add to your library. Russian Origami by Sergei Afonkin and Tom Hull. 8.5 x 11, softcover. $15.95. From St. Martin's Griffin. Available at most book stores.